When shoppers are anxious to use a purchase soon, they’ll consider items with saturated colors to be a better value for the money. The reason, according to studies at Boston College, is that vibrancy makes items look larger, which in turn is due to how saturated colors grab the brain’s attention. Another way of stating the effect is that if consumers place a higher value on an item being larger, they are willing to pay more for it when colors on the item are saturated. Although the experimental stimuli in this study were laptop computers and suitcases, I believe the relationship between saturated color and perception of larger size would also hold for packages in which items are contained. It did hold true for one example of a container: The researchers found that people placed more jelly beans in a cup when the cup had highly saturated colors. It seemed that the people perceived the cup as being larger than it otherwise would be. The effect also held for surroundings: The ceiling height of a room was estimated to be lower when an ottoman with high instead of low color saturation was the measurement standard. To use this finding as a marketer, recognize that a color’s saturation refers to a property other than its hue. Red is a different hue than green or blue. Saturation refers to the purity or the colorfulness of the hue. The attention-grabbing property of saturation may have evolutionary origins in that ripe fruits and venomous animals in nature tend to have more saturated colors than their surroundings. However, when the shopper intends the purchase for future rather than immediate use, avoid highly saturated colors. In these situations, the influence of shape is greater than the influence of color. Vibrant colors can interfere with the brain’s processing of shape, so it’s best to keep down the vibrancy. There are other ways to draw attention, and those also can give the perception of better value. At University of Southern California, shoppers presented with two unfamiliar products in a category—one of the products in an unusually-shaped container and the other one not—said, on average, that they’d get more for their money if they were to buy the product in the unusual container. The researchers concluded it’s because the unusual shape draws more attention, and the consumer’s brain subconsciously translates the extra attention into higher worth. 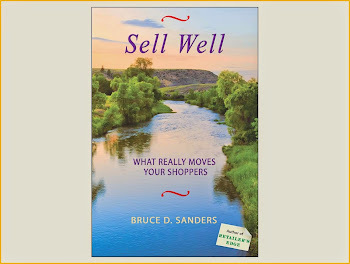 Senior citizen shoppers differ in ways important for you to know. Certainly, abilities almost always deteriorate as we age. All consumers have that in common. But even with this, people age at different rates. Beyond that, because life experiences condition our shopping behavior, there is more variation among older than among younger adult shoppers simply because the older adults have had a greater multitude of life experiences. Distinctiveness. The marketing approaches effective with each segment must be different enough to justify attention to which segment a shopper belongs. Substantiality. The number of seniors in a segment must be large enough to justify special attention to that segment. Stability. Membership in the identified segments must last at least the duration of a marketing campaign. Identifiability. To use the segmentation, the marketer must be able to tell who falls into what group. Gender. Of the four factors, this one has the easiest identifiability. One implication is that women, compared to men, are more accepting of foods serving a nutritional function without highly pleasurable taste. Cognitive age. More important than calendar age is how old the shopper feels in their mind. Cognitively younger seniors are less likely to accept senior discounts than are cognitively older ones. Life stage. Seniors who are retired and on a fixed income purchase differently than do people of the same age who are still employed. Death of a mate, birth of grandchildren, remarriage, and relocation are other life events which often place a consumer into a distinctive life stage. Time perspective. Seniors with serious health problems consider their time as more limited than do younger seniors in good health. Hedonic products like tasty foods are especially appealing to seniors having a limited time perspective. Similarly, advertisements portraying strong positive and negative emotions, although attractive in general to seniors, carry extra influence with the segment having a limited time perspective. When shoppers feel crowded, their behavior changes. According to studies at Columbia University and University of British Columbia, when shoppers from Western cultures are in tight spaces, they want greater variety among products. If they have fewer choices, they'll become less comfortable. Researchers at University of Kansas, University of Wisconsin–Madison, and University of Toronto found that one major effect is a retreat to safety. For instance, shoppers who encountered crowds of unfamiliar bodies preferred to shop for their headache relievers at a pharmacy than at a convenience store. In casinos, crowding moved typical gamblers toward less risky wagers. More recently, researchers at Lehigh University and Drexel University pointed out that the impact of crowding on a specific consumer depends on the prior experiences of the consumer shopping in crowds, the expectations of the consumer about the degree of crowding they’ll encounter, and the personality structure of the consumer. Those points preceded the researchers considering a question: Do shoppers respond differently to humanized brands when shopping in circumstances the shoppers consider to be crowded? Humanized brands—more commonly called anthropomorphized brands by marketing scientists—are those that have human-like characteristics. This might come from how the item looks, in a picture or name of a person on the packaging, or in the way an advertisement or the salesperson describes the item. The answer to the question turned out to be: Yes, shoppers who feel crowded will view a humanized brand much less favorably if the presentation of the brand indicates a desire to interact with the shopper. In one of the studies, a fictitious brand of coffee maker was presented to one group of consumers with the buttons arranged to resemble a human face and the tag line, “Together, you and I will explore a variety of coffee drinks.” The participants’ purchase intentions for the coffee maker were significantly less than was true with participants presented the coffee maker in less crowded circumstances or with the buttons not resembling a face and the less intrusive “I am Aroma. I will perfectly complement any occasion!” tag line. When using in-store or other public area signage which is promoting your anthropomorphized brands, carefully consider the likely degree of perceived crowding among the intended audiences. Older adults will more often take shortcuts in decision making of various types than will younger adults. Almost all adult shoppers make routine purchases using minimum deliberation. But with more demanding objectives, shoppers of average age 68 years searched less intently than did shoppers of average age 36. The task for the study participants at University of Illinois and Southern Illinois University-Carbondale was to identify the breakfast cereals which had less than 200 milligrams of sodium and at least two grams of fiber in a serving. The setting for a Bowling Green University study was a simulated yard sale in which participants were asked to sell a set of items at the highest possible prices. The results indicated that younger adults are more likely than older adults to take into account the full pattern of offers made by potential buyers. The researchers attribute the older adults’ single-deal strategy to them having inferiorities in working memory. A set of University of Kentucky studies explored age differences in methods of political decision making. The finding was that the voters of average age 24 years were especially likely to select a candidate by considering the stand each in the field had taken on a set of issues. By contrast, those of average age 72 were especially likely to select the first candidate they came across whose stand on the issues pleased them. The use of shortcuts in these ways is called “satisficing.” As was seen in the breakfast cereal study, all consumers generally will satisfice when the decisions are routine. The differences between younger and older adults appear when there’s complexity involved. Because older consumers are more likely to satisfice, meet their preferences by keeping the decision making procedure no more complex than is necessary. You might curate the alternatives before presentation or recommend compromise choices. Although almost all elderly consumers are more likely to satisfice than are their younger counterparts, some are especially likely. Genetics and early life experiences influence how receptive a particular senior is to favor satisficing. There are situational factors, too. Researchers at Southwestern University of Finance and Economics-Liulin say that a priming question prior to the actual decision task makes a difference. “Which of the three pets is the smartest—dog, cat, or fish?” would nudge an older consumer toward maximizing. “Which animal would you be willing to live with—dog, cat, or fish?” nudges toward satisficing. Inviting shoppers to try a small free sample of an appealing food or beverage in your store increases sales not only for that item, but also for appealing alternatives in the same product category. Moreover, the positive profitability aftereffects of a sampling promotion linger better than do those from a price promotion on the same item. Repeated sampling events for an item have a multiplicative effect, not just an additive effect, on sales. These are the overall findings from carefully designed research at University of Wisconsin-Madison, Brigham Young University, and Singapore Management University. Sampling allows people to touch, smell, and taste the item, thereby making the shopping experience more stimulating. Consumer engagement breaks through the distractions that block sales. Products realizing the greatest sales boosts from sampling will be those with the most engaging sensory characteristics. The researchers also found that sampling produces superior results when the number of alternatives in the product category is limited rather than expansive. In the studies, some stores had significantly better results from sampling than did others. I suggest you experiment with what works for you and where in your store you should place the sampling station. My experience is that it’s best located in a well-lit area where a number of people can gather. We want shoppers to be attracted by seeing others sampling and then not feel crowded when doing the sampling. We also want the shoppers to hang around long enough to get their questions answered by friendly staff who are distributing the samples. Manning the sampling station heads off the cheating that alienates shoppers. Too often, people ravage a tray of free samples. Researchers at University of British Columbia and University of Alberta saw that other shoppers who witness this happening are tempted to punish the offender. 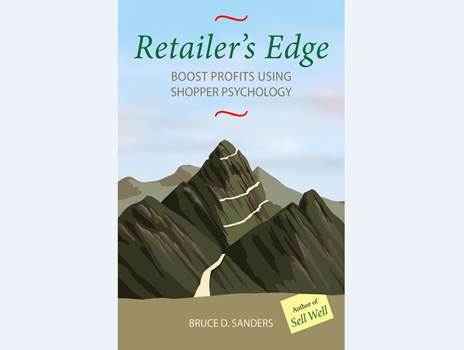 The mental turmoil inside the heads of these shoppers preoccupies their thinking, and preoccupied consumers often buy less. Make it easy to buy the product by having the merchandise for purchase adjacent to the sampling station. When the item is unfamiliar to typical shoppers, another advantage of doing this is that it places the item in a second location in the store, increasing the familiarity that leads to sales. Especially with the unfamiliar product lines, combine sampling with attention-getting store displays, couponing, temporary price reductions, or rebates. Extra excitement comes when the sampling is part of a special event at your store. As long as risks to security aren’t excessive, gambling can be a positive pastime for older adults. In a review of twenty years of studies worldwide on the topic, researchers at Bangkok University concluded that gambling often provides seniors with valuable social interaction and mental stimulation. Casino gambling is the most popular day-trip social activity for people at least age 65 living in residential and assisted care facilities, with a major motivation being the opportunity to meet and talk with others. Lotteries, the most common form of gambling among older adults, provide excitement and a break from the routine, said the studies’ participants. It might seem that those of advanced age would be more susceptible to problem gambling. Aging brings deficits in learning from recent experiences and in impulse control. However, the research review indicated that the rate of problem gambling is not higher among older adults than in other age groups. One explanation is that those with severe deficits select themselves out or are otherwise less likely to place themselves in gambling situations. Still, when problem gambling does exist, the consequences could be more severe, since older adults have fewer years and, in general, less ongoing monetary income to recover from losses. Therefore, marketers who promote gambling by seniors also have a responsibility to facilitate those seniors managing the risks. One validated technique is to regularly remind the seniors of the dangers. This is best done with stories rather than statistics alone, since stories are more persuasive. Study results from High Point University and Bradley University suggest that people who lightly engage in problem gambling will probably respond best to stories which, without apparent exaggeration, portray the negative consequences of continuing. For heavy abusers—those who might be considered gambling addicts—go positive instead, pointing out the benefits of cessation for people like them. In an exploratory study, interviewers at Portugal’s University of Porto heard from older adults that reminders of dangers and accurate labeling of gambling as an activity in which you’re bound to lose money in the long run both work well in curbing problem gambling. Another technique suggested in the interviews was to encourage the senior, before entering a casino, set limits on what money and time will be spent. When the servers in the fine dining establishment drew a smiley face on the check at the end of the meal, as instructed to do by the University of North Carolina and Western Carolina University researchers, the tips were lower than those received by servers instructed not to add the hand drawn equivalent of an emoticon. The researchers interpreted this finding to indicate that the smiley face implied a level of informal familiarity which violated role expectations. Restaurant servers in fine dining establishments are expected to play a role clearly subservient to that of those being served. Subsequent studies at University of Amsterdam, Ben Gurion University of the Negev, and University of Haifa indicate the explanation for the finding probably is not so straightforward: An anthropomorphized smiling face detracts from competence impressions. The tips might have been lower because the restaurant servers came across as less competent at the time when the diner was deciding how much to leave. These subsequent studies explored the first-impression effects of a smiley face emoticon in computer-mediated communications among strangers—the sort of use e-retailers might make. The finding: When a degree of sender-receiver psychological distance is expected by the receiver of a message, use of the smiley face emoticon, and probably most other emoticons as well, starts off the relationship wrong since it portrays immaturity. Putting this together with research findings from Stanford University, University of Minnesota, and University of Pennsylvania, I recommend taking particular caution in using emoticons if you’re a nonprofit. Consumers already begin with perceptions of such organizations as warmer than for-profits but as less competent. Since you’ve already earned the impression of warmth, you don’t need any boost from a smiley face. Further, the computer-mediated communications study found that the smiley face didn’t add much impression of warmth anyway. Also please keep in mind that a smile on your face generally gives a message to consumers vastly different than a smile on an emoticon. When the computer mediated communications researchers used a photo of a smiling face in the computer-mediated communications, recipients did have an impression of warmth. A genuine smile, whether in a photo or in person, projects hospitality and sincerity. Keep the smile gentle though. If you aim to make the arc on your lips as extreme as that on the best-known smiley face emoticons, the dopey look will almost surely erase any scintilla of competence. Mr. Jones shared this with New York Times writer John Leland who included it in his article “Want to Be Happy? Think Like an Old Person,” one in a series as Mr. Leland tracks and writes about the same group of elderly adults over the years. That’s a longitudinal look. It contrasts with cross-sectional research about seniors, in which findings on older adults are compared with findings on different people who are younger adults. Many more studies about seniors are cross-sectional than longitudinal. Keeping track of the same group of people over the years is difficult. With the elderly, a number will be lost to death. Mr. Jones passed away before Mr. Leland completed the second article in his series. There are also age challenges for the researcher. Regarding the “Up Series,” in which Michael Apted has produced a movie every seven years about the development of the same group of British children, Mr. Apted is quoted as saying, “I hope to do ‘84 Up’ when I’ll be 99.” Often, longitudinal research is conducted by teams who can pass the baton along. Such a study, verifying how emotional well-being improves with old age, has involved academics from Stanford University, UCSF, UCLA, Pennsylvania State University, Northwestern University, and University of Virginia. Longitudinal research does provide a richness of insights beyond what’s available from cross-sectional research. We get a better view of the study participants’ perspectives as they traverse the bridge of life Mr. Jones had described. That multi-university study saw how improvement in emotional experience occurs even when physical health and verbal fluency are taken into account. This conclusion required individual-to-individual comparisons. For retailers, proper cross-sectional research almost always provides sufficient tips. We’re looking for what works differently with our senior customers than with our younger customers. However, when our questions concern how our loyal customers are quite likely to change their preferences as they age or we want to fully understand why the younger and older differ, we’ll find ourselves longing for the longitudinal.